Started singing at the age of 12 with his first vocal group concert at Al India radio (AIR), Puducherry . His first vocal guru Kalaimamani Sri.K.sagadevan who belongs to traditional Bhagavatha Melam family and well his father. He has continued higher studies in vocal followed by kalaimamani.Sri.Jagadheesan for 6 years. He has conituned his advanced level vocal at annamalai university as Bachelor degree and also mrudhangam at Chennai adyar music collage for 3 years which is title of Vadhya kalaimani. Also he has got trained privately by DR.B.Govindharajan who is also the Ex.Dean of Music department, Annamalai University. Also he has learnt advanced level mrudhangm from Sri.Mannargudi A.Eeshwaran, Sri. E.M subramaniam and Sri kudanthai.A Saravanan. Meanwhile as he has started his performance (Both Vocal and Mrudhangam) since 1996 by accompanying with his father as well guru, with his father’s concerts and stage shows like veedhi bhagavatham. 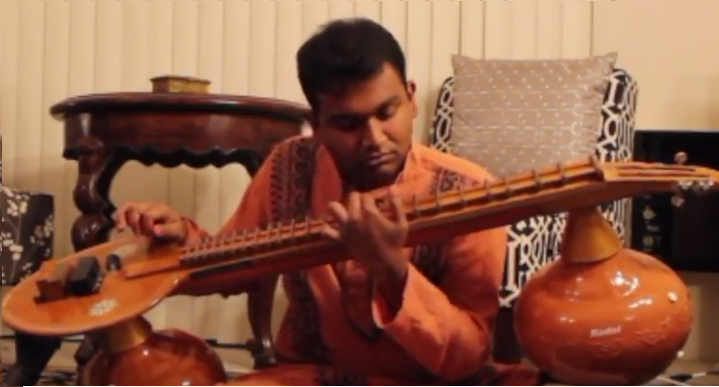 He has started accompanying vocal bharathnayam and kuchpudi since 2006. 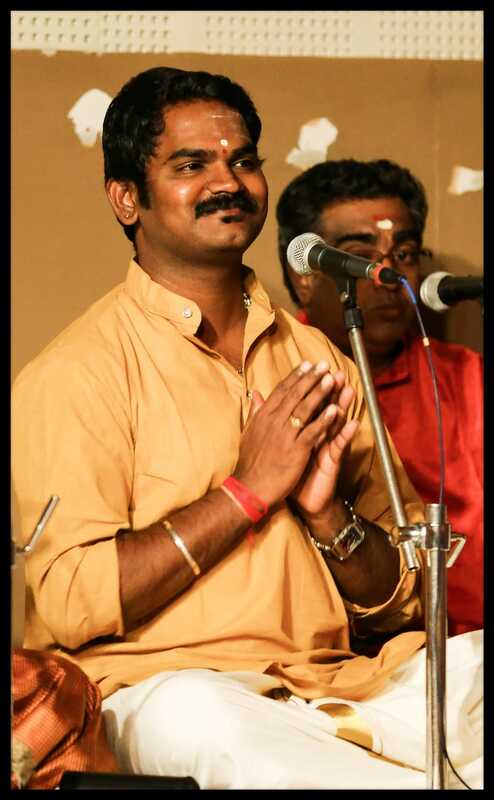 He has accompanied both vocal and mrudhangam for familiar epic KAISHIKI NATAKAM since 2008 under the guidance of Dr. Raveendhran, and Dr. K.A.Gunasekaran, Pondicherry University. He also plays harmonium, kanjira and tabla.  Mutthaiyah chettiyar scholarship for Best vocal artist since 2008 by Annamalai University.  Yuva Sri kala Bharath by Madurai Seva sangam for best vocal at 2010.  Sangeeth Natak Academy Nominee for best vocal artist by Puducherry artand culture department at 2016.  Lead many cultural events in Youth Red Cross as Cultural co-ordinator since 2007, through Annamalai University, Sports department.  Accompanied Vocal on International trade fair on behalf of Puducherry govt. for Bharathnatyam and Kuchpudi at 2014 and 16.  Have performed vocal for Bharatanatyam and Kuchipudi at Reunion Island 2012, 13 at Saint Denis.  Conducted workshops and lecture demo on Carnatic rags and gamakas at Reunion Island at 2010, 12, 13. Durai has been accompanying vocal concerts, instrumental concerts, solo performances, bharathanatyam ,kuchupudi ,and mohiniattam for top grade artists for the past 15 years. He performed with violin SOLO in A.I.R at the age of 16 in 2000 and have accompanied VIOLIN for Bharatanatyam, Kuchipudi & Mohiniyattam in Reunion, Paris, France, USA and various other countries. 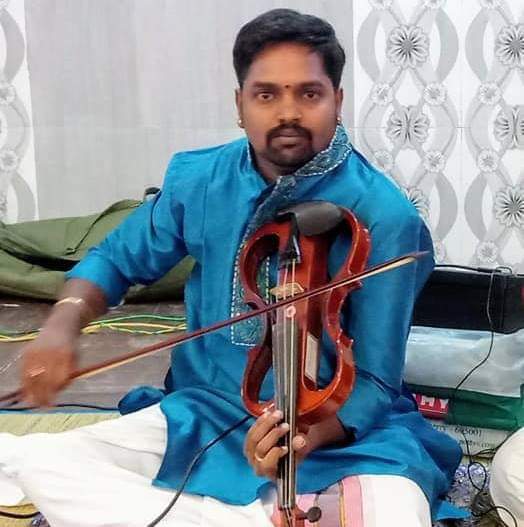 He is accompanying Violin for NATTYANJALI in Chidambaram, Tanjore for past several years. programs and A.I.R. Pondicherry since 1999. Training the young talents in Mridangam, Gatam and Ganjira since 1999. Accompanied on mridangam to the concert performed by Versatile genius Padma Vibhushan Dr. M. BALAMURALIKRISHNA in France in the year 2005. Have performed mridangam for music and dance concerts conducted by Tem Prod. In Paris, Italy, Mauritius, Switzerland, Africa, and Venice. Represented Tamil Nadu, Pondicherry and Andamans N.C.C. units. Performed in the festival conducted by the International Cultural Federation. Performed at Russian Cultural Center in Chennai, Consulate General of the Russian Federation-Chennai. Performed in the Fete De Pondicherry in the year of 2000 to 2007, conducted by the Pondicherry Art and Culture Department and Tanjore South Zone Cultural Center. Accompanied Dance Festival “BRAHAN NATYANJALI” in Tanjore. 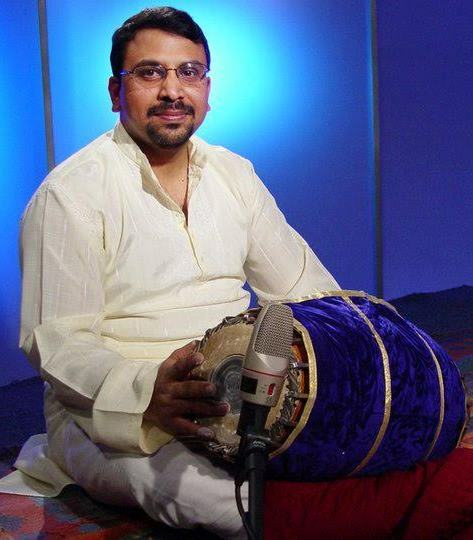 Sriram is a versatile artiste and collaborative world musician specializing in the classical South Indian instrument - Mridangam (barrel drum). Sriram started training on the Mridangam at the age of 9, under the veteran Guru Sri K V Maniappan of the Nalanda School of Dance in Mumbai, India. Sriram has had advanced training from the Late maestro Sangeetha Kalanidhi Padma Sri Palghat Raghu. He is presently under the able tutelage and guidance of Tanjavur Sri Murugaboopathi. Sriram regularly accompanies renowned and upcoming artistes in India during the December music season in Chennai, India. In the US and has performed at several prestigious venues in Boston, Chicago, Cleveland, Columbus, Connecticut, Madison, Milwaukee, Philadelphia, New York, New Jersey and across the state of Minnesota.His style of accompaniment is very adaptive to both vocal instrumental music and dance. Some of the renowned vocalists he has accompanied include Shri M Balamuralikrishna, Shri T V Sankaranarayan, Shri Ravikiran, Shri Neyveli Santhanagopalan, The Carnatica Brothers, Smt Gayathri Venkataraghavan, Smt Pantula Rama, Shri Kunnakkudi Balamuralikrishna, Shri R Suryaprakash, Shri V K Manimaran, Smt Alamelu Mani. Some of the renowned instrumental artistes he has accompanied include the Mysore Brothers, Smt Mala Chandrashekar, Smt Nirmala Rajasekar, Smt Geetha Bennett, Smt Rajeswari Pariti, Smt Suma Sudhindra, Shri V K Raman and Shri Chandan Kumar. He regularly supports US based dance teachers to help their students perform their arangetrams. Arthi Kumar, an accomplished Carnatic Vocalist, blessed with a beautiful scintillating voice, soulful music, and a strong foundation in Carnatic music, has captured the hearts of many rasikas. 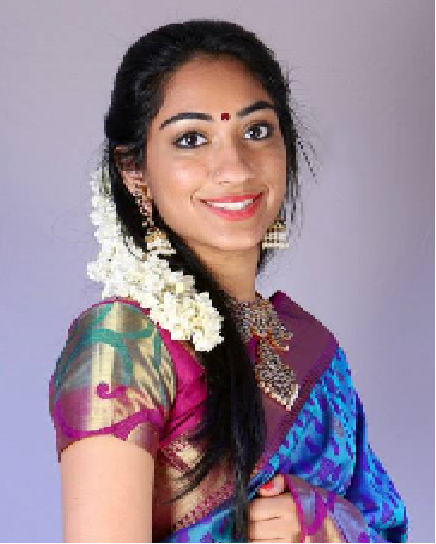 She is a versatile and highly talented singer with a focus on excellence in her rendition of krithis, ragam, kalpana swaram, and neraval. She focuses on the innate nuances of each note and infuses “bhava” into every verse that she sings. Arthi is forever indebted to her gurus, Smt S. Sowmya (Chennai, India), Sri Madurai R. Sundar (Detroit, Michigan) and Sri K. Vijayraghavan (Chennai, India). She has given concerts in prestigious sabhas in Chennai, India and in various cities in USA & Canada. Her concerts have received tremendous praise and applause from connoisseurs and critics alike. She not only gives vocal concerts but also sings for dance arangetrams (debuts). Charsur Arts Foundation North America Talent Search and iCarnatic through competitive auditioning, have showcased her renditions under their banner in 2011. ISAI VELVI 2008 Competition, by Sri Ghatam Suresh – (Chennai, India). As a winner, she performed at a prestigious sabha for the December Music Festival Season 2008 in Chennai. 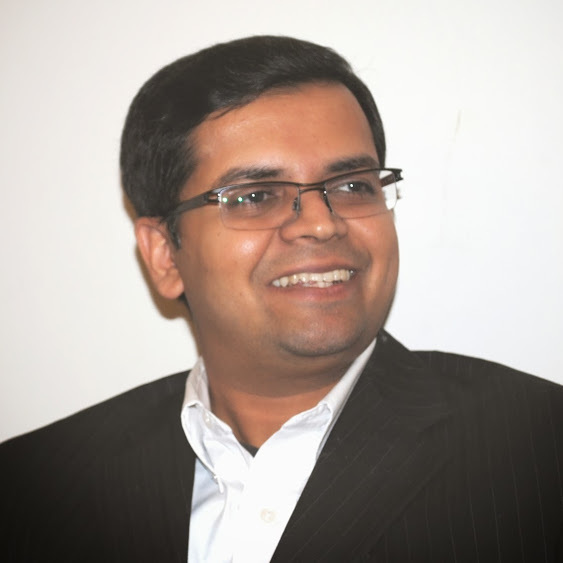 Vijay Shriram hails from a family of musicians and music aficionados. He began his journey in music at a very young age. Learnt his basics from Shri Kumbakonam Rajappaiyar's school for Mridangam. He was later trained by his maternal grand uncle, Shri Guru Karaikudi Mani and his prime disciple Shri R.Ramesh. Vijay, during his days as a student, was an active member of the Youth Association for Classical Music (YACM) and performed at lecture demonstrations for them. He was a qualified All India Radio (AIR) youth artist. In chamber-music concert format, he has accompanied stalwarts, such as Shri Thiruvengadu Jeyaraman, Shri BV Raman - Shri BV Lakshmanan, and Shri Violin Chandrashekaran to name a few. Sriram is an ‘A’ grade artist of All India Radio, Chennai. Self-motivated and shaped in learning Veena, the divine instrument, from the tender age of FIVE initiated by Guru Mrs.Subbalakshmi for about two years. Joined a professional Music Academy “Swaralaya”, as a disciple of Guru Ms.Lakshmi, who mended him for three years till ‘Arangetram’ in 2001, at the age of Ten years. Now being under the able guidance of Guru Mrs.Revathi Srinivasan on advanced training in Veena. “Vainika Padmam” (2001), “Sangeetha Baskara” (2002), “Yazh isai Selvan” (2004), Samaikya Bharath Gaurav Satkar” (2007).